You will have already read about my addiction with Mrs Hinch over on Instagram! I know that many of my friends and family also follow her and her recent growth in popularity has been phenomenal! 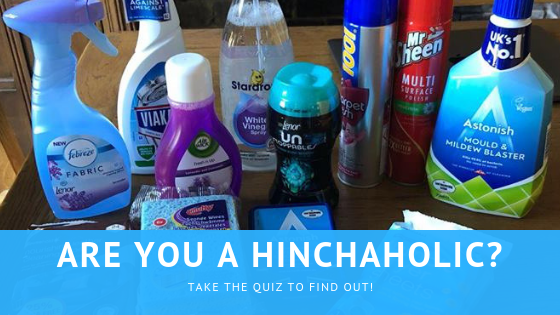 So today, I thought I would find out who else is addicted to the cleaning antics and lifestyle of the wonder who is Mrs Hinch in a fun quiz. Are you ready hinchers? 1. How often do you check Mrs Hinch’s Instagram stories? 2. How do you pronounce ‘Minky’? C) I tend to sing ‘Minkeh, do you love me? 4. 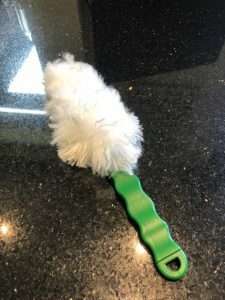 How much has your cleaning bill increased? 5. What is the last thing you do before bedtime? 6. 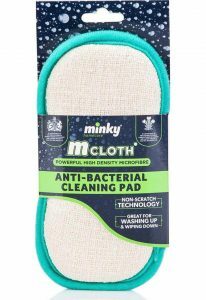 How badly do you want a minky? A) Really looking forward to it! B) So badly it hurts! 7. How do you now congratulate a friend? C) Yes maaaaaaate! All the best! 8. What was your first reaction on hearing that Mrs Hinch was at a recent store opening? C) I wondered if I could organise a last minute bus trip to the store! Mainly A’s. You are a fan but the Hinch mania hasn’t gripped you yet. Stick with it. There’s still time. Mainly B’s. You’re loving Mrs Hinch and her influence can be seen in and around your home now. There are still some items you are referring to by their professional name. Loosen up and learn to love Dave, Paul and Vera. There we have it, folks. To all the fellow hinchaholics, I raise my squirty bottle of fabric softener in salute and send you All the Best! 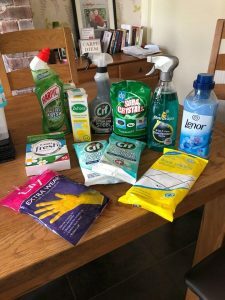 ** There are no support groups meeting in Poundland but there really should be!